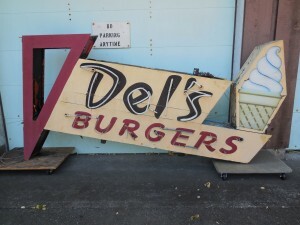 Campbell River’s Del’s Drive in brings back memories for many locals. Whether it was the zombie burgers, the friendly servers in go-go boots, or the Friday night’s hanging out in the parking lot with friends, Del’s was the place to be. The iconic sign that was outside of the restaurant was donated to the Museum at Campbell River and has been selected as one of the 60 objects to be featured in the Museum’s 60th Anniversary exhibit. Those that loved Del’s will be able to see it once again! But there is a catch, and we need your help. The sign needs extensive repairs to be in condition for display. It is expected those repairs will cost around $5,000, and will include fixing the body of the sign and repairing and replacing the neon so that it can be turned on again. It seems like a steep price, we know, but it needs to be done properly to maintain the integrity of this artifact, and we want it to be fully restored to operating condition. 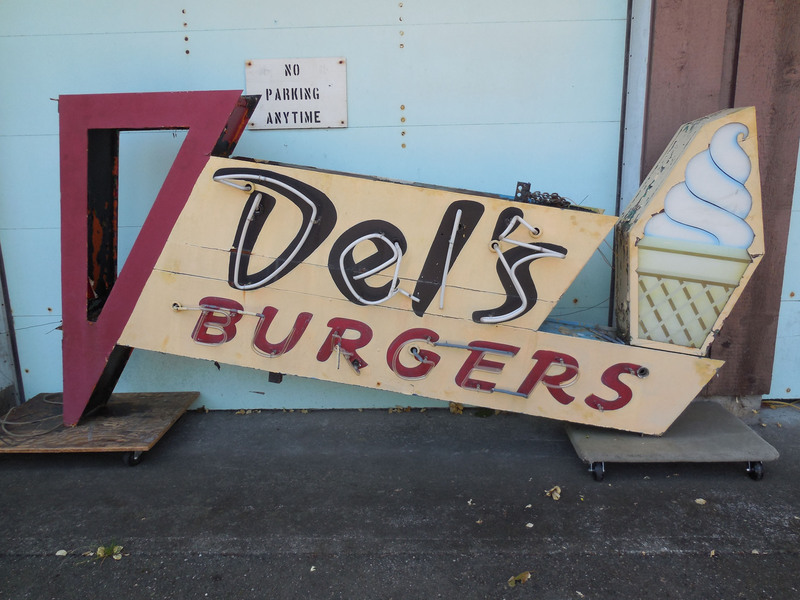 If one thousand past friends, employees and patrons of Del’s each donated the cost of a burger – $5 – we could raise enough to have the sign fixed. Of course bigger donations would go further, but today we challenge you to donate $5, then encourage your friends to donate $5 as well. Forward this campaign to the people you know will remember Del’s. Find this campaign on the Museum’s social media accounts and share it widely. Together we will bring back to life this piece of Campbell River’s past. This entry was posted in Uncategorized by Museum at Campbell River. Bookmark the permalink.